The market has witnessed expansion of existing international brands in the country and the entry of premium formal and sportswear brands such as Berleigh, Magnanni, ASICS, Onitsuka Tiger etc,” consultancy firm RedSeer said in a research note. Notwithstanding the fact that international footwear brands have tweaked their products and strategies to suit the Indian market, their focus on the premium segment of the sector has allowed them to access only a small part of the Rs 63,000-crore industry, which is expected to grow to Rs 93,350 crore by 2021. On the one hand brands such as Clarks, Skechers and Crocs have introduced products to offer an assortment that appeals to Indian tastes, on the other hand Adidas has increased its focus on its fashion brand Adidas Originals to increase its offerings in the premium range. Furthermore, international outdoor and casual footwear brands such as Merrell, Hummel, Supra have accessed the market through online channels to “test the Indian market and understand consumer dynamics before rolling out stores”. “In last few years, significant number of international brands have gained a reliable position in the market. The market has witnessed expansion of existing international brands in the country and the entry of premium formal and sportswear brands such as Berleigh, Magnanni, ASICS, Onitsuka Tiger etc,” consultancy firm RedSeer said in a research note. The sheer population and the consequent demand has made India one of the largest producers of footwear in the world. However, analysts estimate that more than 80% of the produced good are consumed within the domestic market. The abundantly available raw materials such as leather and synthetic fibres coupled with a focus on large scale footwear industries is one of the reasons why watchers of this sector believe India could become a footwear hub for the world. It added that online channel has emerged as a significant channel of growth and international brands are entering into partnerships with e-commerce players to explore the Indian market. However, experts are also of the view that the focus on premium brands have prevented these brands from having a wider appeal in a market primarily led by cheaper products. “Most of the foreign brands that have entered India have been pivoted towards the premium segment and therefore their appeal is restricted to a wider demand. A company may open a few hundred stores but they haven’t yet captured the wide imaginations. We are yet to see a Bata equivalent to happen in India. “Most of the brands that have entered India post-liberalisation have focused on premium offerings,” said Ankur Bisen, senior vice president, retail & consumer products division at Technopak. In terms of value, brands offering products priced above Rs 3,000 make up for only 10 per cent of the market, while 80 per cent of the market is dominated by mass and economy products costing less than Rs 1,000. “There is a shift from unbranded to branded products but a large part remains to be a value-sensitive segment comprising hawai slippers; the rural demand is almost entirely for sub-Rs 100 products. At those price points it is difficult for a formal play. As far as urban segment is concerned, the demand is shifting to – I would not say branded play – but organised play. If you go to a Big Bazaar to buy shoes, you may not buy a branded shoe but you still bought it from an organised retail setup,” Bisen pointed out. He added that there is a shift of urban demand towards organised retail on account of contribution by online commerce, emergence of large retailers, those in value segment and private labels. 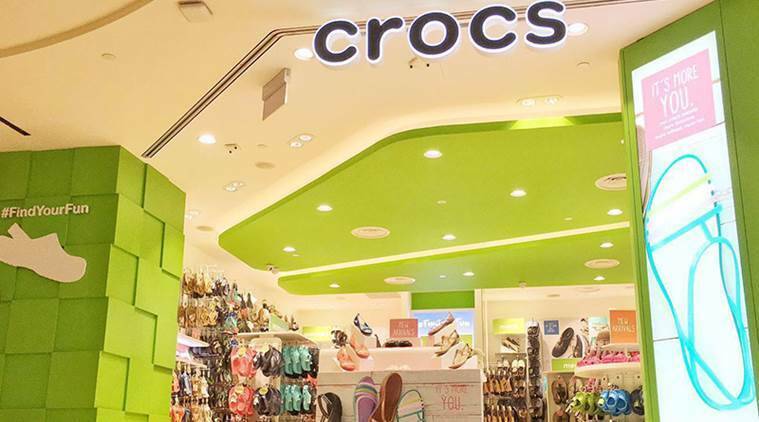 RedSeer estimates that as of 2018, branded products contributed to 44.5 per cent of the footwear market in India and the share is projected to grow to 50 per cent by 2021.